Dean's Blue Hole is the world's deepest known salt water blue hole with an entrance below the sea level. It plunges 203 meters (666 ft) in a bay between Deadman’s Cay and Clarence Town on Long Island, Bahamas. The cave is roughly circular at the surface, with a diameter ranging from 25 to 35 meters (82–115 ft). After descending 20 meters (66 ft), the hole widens considerably into a cavern with a diameter of 100 meters (330 ft). 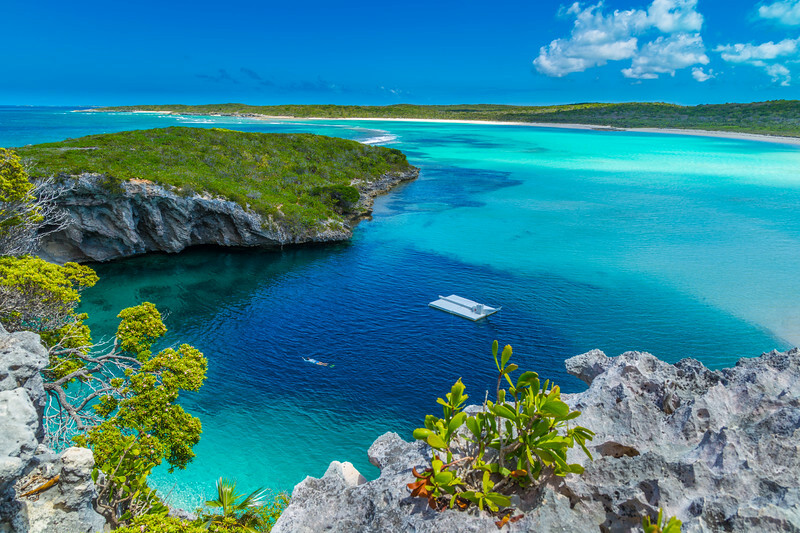 Dean’s Blue Hole is so ideal for freediving, that the “Vertical Blue” take place at this location, one of the most prestigious freediving championships in the world. Depths way beyond 100 meters are reached at those competitions, without the support of gas tanks!